Anonymous officials told an Indian publication that the finance ministry imposed a $50 million penalty on the Russian-state owned bank over FEMA violations. The India Ministry of Finance is looking into allegations that Vnesheconombank, a Russian state-owned bank, violated the Foreign Exchange Management Act (FEMA), the Economic Times said, citing anonymous officials. The bank, which looks after the pension savings of Russian citizens, is also being accused of money laundering, according to the paper. Vnesheconombank could not be immediately reached for comment by RIR, while an RBI official declined comment on the report. An RBI official was quoted by the paper as saying, “We are in discussion with the finance ministry over the issue. The bank's operations have not been suspended.” The report implied that Indian banks operating in Russia may face some sort of problems in Russia in case this matter was not resolved. A source close to ICICI Bank’s Russia operations told RIR that such fears were misguided and that the bank was functioning smoothly in the country. 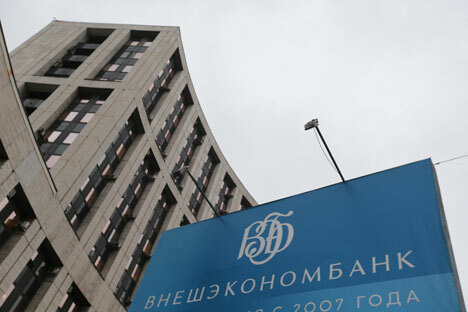 Vnesheconombank, which is commonly called the Russian Development Bank, is used by the Russian government to support and develop the Russian economy, to manage Russian state debts and pension funds, and receives direct funding from the state budget. Banking operations between Russia and India remain well below potential. Besides ICICI Bank, State Bank of India and Canara Bank have a joint venture in Russia called Commercial Bank of India. VTB Bank and Sberbank of Russia have branches in Delhi while Gazprombank and Promsvyazbank, like Vnesheconombank have restricted their presence to representative office model.